I wrote about AutoSploit in a post titled AutoSploit = Shodan/Censys/Zoomeye + Metasploit and it’s subsequent update to AutoSploit 2.2. Recently, AutoSploit 3.0 was released. This post tries to describe the changes between the last release and the newest version as this release adds a number of features and bug fixes. This release is code named – The New Year’s edition! 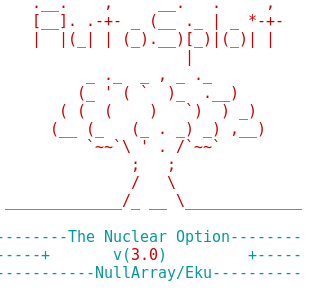 AutoSploit stands for Automated Mass Exploiter. It attempts to automate the exploitation of remote hosts. Targets can be collected automatically through Shodan, Censys or Zoomeye. But options to add your custom targets and host lists have been included as well. The available Metasploit modules have been selected to facilitate Remote Code Execution and to attempt to gain Reverse TCP Shells and/or Meterpreter sessions. AutoSploit 3.0 (AutoSploit-3.0.zip/AutoSploit-3.0.tar.gz) can be downloaded from here. Another way is to perform a git pull on the directory to get everything from the source repository.